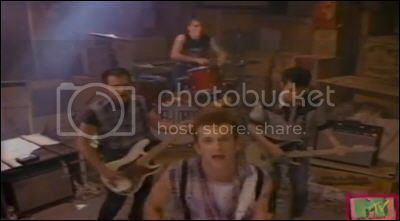 ....wtih THE PRETENDERS! Circa 1981, via one of Pate's two fab drummers, Jon Hahn. Your setlist includes "The Wait," "The Adultress," "Message of Love/Louie Louie," "Talk of the Town," "English Roses," "Birds of Paradise," "Kid," "Stop Your Sobbing," "Private Life," "Day After Day," "Jealous Dogs, " Up the Neck," "Tattooed Love Boys," "Bad Boys Get Spanked," "Precious," and "Brass In Pocket/MysteryAchievement." LEYLA McCALLA, formerly of the Carolina Chocolate Drops, advance streams The Capitalist Blues. LULA WILES advance streams What Will We Do. DAWN advance streams new breed. SON VOLT shares "Devil May Care." TORO Y MOI covers The Zombies' "Care of Cell 44." 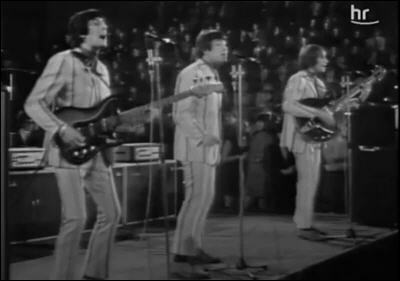 TROGGS: "With a Girl Like You," live. IN CONVERSATION: Kim Gordon and Steve Gunn. RUSH frontman Geddy Lee breaks down the band's greatest songs: "Even I can barely make sense of our concept albums." LORNA DOOM, the bassist with cult Los Angeles punk band Germs, has died. THE NUMBER ONES looks at Smokey Robinson & The Miracles' accidental smash "The Tears Of A Clown." NOW SHOWING: This weekend's wide releases are Glass, which is currently scoring 36 percent on the ol' Tomatometer; and Dragon Ball Super: Broly, scoring 83 percent. JOHN WICK: CHAPTER 3 has a trailer online, complete with dogs. GHOSTBUSTERS 3 has a teaser trailer online. THE MAN WHO KILLED HITLER AND THEN THE BIGFOOT, starring Sam Elliot, has a trailer online. 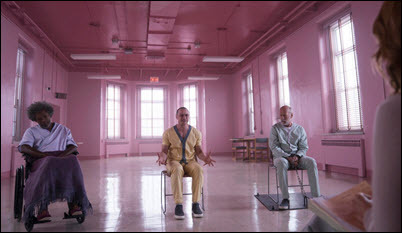 GLASS Demystifies -- and Discounts '-- Our Superhero Movie Fascination. LIAM NEESON is mourning the death of his nephew, five years after he suffered a serious injury in a fall from a telephone kiosk. MARIAH CAREY's assistant has just fired back at the singer's blackmail allegation with her own lawsuit, claiming she was the victim of horrible abuse by one of Mariah's key people, and the singer did nothing about it. PRINCE PHILIP, 97, escaped unhurt after flipping the Range Rover he was driving near his royal estate. GWYNETH PALTROW talks about embracing the haters, getting happy and why she loves courting controversy. PARAMOUNT Was Hollywood's ‘Mountain.' Now It's a Molehill. 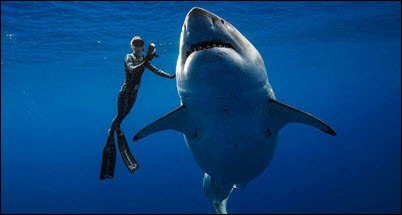 THE WORLD'S BIGGEST GREAT WHITE SHARK (on record) was sighted off Hawaiian waters. A SUPPORT PIGEON transformed an autistic woman's life. KITTY vs DOG: No, not the one I posted yesterday. PANDA CAMS, another victim of the US government shutdown. Oh, the humanity! Or... the panditry? THE DEL-LORDS: "How Can a Poor Man Stand Such Times and Live? GUSTER advance streams Look Alive. AARON LEE TASJAN brings a mid-60s feel to to a Tiny Desk Concert. THE DRUMS shares "Body Chemistry." SPELLING shares the retro-synthy jam, "Under The Sun." STRAND OF OAKS shares a video for "Weird Ways." CREATING WHILE CLEAN: Steven Tyler, Julien Baker, Ben Harper, Jason Isbell, Joe Walsh, and other sober musicians on how they thrive creatively sober. SHARON VAN ETTEN on the paranoia of parenthood, the connective power of shared stories, and how Suicide, Nick Cave, and Portishead informed her new album. PEDRO THE LION: The Aquarium Drunkard Interview. THE NUMBER ONES looks at the Jackson 5's eternally perfect "I'll Be There," and the Partridge Family's debut single "I Think I Love You," a song that was weirder and better than it had to be. STEVE CARELL and The Office boss Greg Daniels are reuniting for Space Force. BLAKE SHELTON & GWEN STEFANI: Engaged soon? JEFF BEZOS' and Lauren Sanchez‘s respective spouses knew about their romance months before the world did. ANNE HATHAWAY has closed a deal to star as the Grand High Witch in Robert Zemeckis and Warner Bros.' The Witches adaptation. HUNCHBACK, the latest live-action adaptation from the House of Mouse. HIGH LIFE, an original sci-fi flick, has a trailer online. DOG & CAT: The eternal struggle. HONEYBEES use the "wave"to scare away predators. THE RUNNING OF THE BULLS, but inflatable. Busy work and slow "news," but a few Things. SPIDER-MAN: FAR FROM HOME has a trailer online. CAROL CHANNING, whose incandescent performances as the gold-digging Lorelei Lee in Gentlemen Prefer Blondes and the matchmaker Dolly Gallagher Levi in Hello, Dolly! made her a Broadway legend, died early Tuesday at her home in Rancho Mirage, Calif. She was 97. GHOSTBUSTERS: Jason Reitman will direct and co-write an upcoming film set in the world that was saved decades previously by the proton pack-wearing working stiffs in the original 1984 movie, which was directed by his father, Ivan Reitman. RHIANNA filed a lawsuit claiming her dad is exploiting her name to try and get rich. JUSTIN BIEBER & HAILEY BALDWIN will wed in February. ADAM DRIVER discusses BlacKkKlansman, why he doesn’t want to direct, and the “one piece of information” he’s had all along about where Star Wars is going. BOB COSTAS and NBC have quietly broken up. BILL MURRAY & SOFIA COPPOLA are reuiniting for a movie. NBCU's long-gestating plan to launch a streaming service is starting to take shape. NETFLIX is hiking its monthly fee. 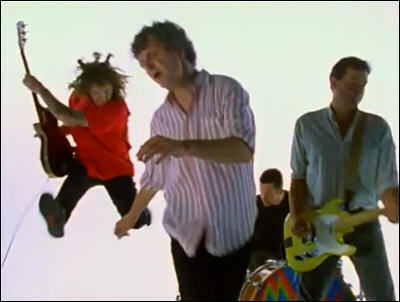 GUIDED BY VOICES: Technically, the clip for "Auditorium" and "Motor Away" is Twofer Tuesday, but since it runs just about 3 minutes, I'll toss in "My Valuable Hunting Knife" as a bonus. BROKEN SOCIAL SCENE debuts two songs in a mini-set on The Strombo Show. Also a Feist cameo. CHRISTINE & THE QUEENS visit KEXP for a mini-set. STEVE GUNN covers the Misfits and Michael Chapman for a Langiappe Session. 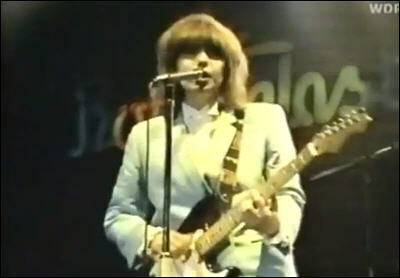 H.C. McENTIRE covers Led Zeppelin's "Houses Of The Holy." THE KILLERS share a video for "Land of the Free," directed by Spike Lee. NICK CAVE playlists 10 songs "that stand apart from the rest of the music." DEERHUNTER: Bradford Cox ranks the band's catalog at Noisey. SHARON VAN ETTEN's 10 Best, according to Paste. MAXIMUM ROCKNROLL will continue as a website and radio show, but not as a magazine. THE NUMBER ONES looks at Neil Diamond's cheesed-out drinking song "Cracklin' Rosie." CHRIS PRATT & KATHERINE SCHWARZENEGGER got engaged. MEGHAN MARKLE revealed the royal due date. JOHN LASSETER was grilled for over an hour and a half on Monday by concerned Skydance Animation staffers who wanted to know more details about the allegations of sexual harassment that cost him his job at Disney. LADY GAGA bolted the Critics’ Choice awards to rush to her dying horse. AWARDS SHOW WARS: SAG-AFTRA claims the Academy is pressuring its members to be exclusive presenters. MISSION: IMPOSSIBLE will shoot the next two installments of the franchise back-to-back with Christopher McQuarrie writing and directing. WEST SIDE STORY: Steven Spielberg asssembles his young cast. STAR TREK: Michelle Yeoh may star in a standalone spinoff series. CONAN O' BRIEN talks about what to expect from his retooled show. A CAT, lost in the supermarket. A COYOTE was found inside a bathroom at Music City Center in Nashville. THREE RARE LYNXES, hanging out on a Colorado deck. BIOLOGISTS are tracking mountain lions to learn how long the babies depend on their mothers—and how hunting laws can be adapted to protect them. LIZ PHAIR: "Jealousy." It sneers like she does. J MASCIS stops by the World Cafe. PEDRO THE LION plays a Microshow at 7th St Entry. THE LONG RYDERS share their first new song in 30 years, "Greenville." THE MEAT PUPPETS share "Nine Pins." RYAN ADAMS shares "“Doylestown Girl" and "Manchester." RADIOHEAD share the rarity "Ill WInd." BEIRUT shares a video for "Landslide." THE WHO, or "The Who," are planning another album and tour. WOODSTOCK is "coming back" this summer. JULIEN BAKER has an essay paying tribute to Frightened Rabbit’s Scott Hutchison, who died by suicide earlier in 2018. THE NUMBER ONES looks at Diana Ross' chiffon take on "Ain't No Mountain High Enough." WEEKEND BOX OFFICE: The Upside tops the chart with 19.6MM in the first upset of 2019. Purchesd from the wreckage of the Weinstein Co, STX looks to break even at a minimum against a 38MM budget. The King of Atlantis is dethroned as Aquaman places with 17.3MM on a 44 percent drop; it crosses the Billion Dollar mark, the first DCEU flick to manage it. A Dog's Way Home shows with 11.3M, which is fine against an 18MM budget. Spider-Man: Into the Spider-Verse crawls up into the fourth slot with another 9MM on a mere 31 percent drop, raising the odds of a sequel. Escape Room rounds out the Top Five with 8.9MM and a 32MM domestic total against a 9MM budget, which is all good. GAME OF THROVES: Season 8 Teaser Trailer. AVENGERS: ENDGAME may get previewed by a dying fan. JANEANE GAROFOLO wants people to "leave Louis C.K. alone." BRIE LARSON and her fiancé, actor and musician Alex Greenwald, have broken off their engagement. EDDIE MURPHY will star in Coming to America 2. DWAYNE "THE ROCK" JOHNSON denied an apparently fabricated interview. TOM HARDY and his wife named their baby Forrest. Run! MEGYN KELLY split from NBC with her full contract payout. JO ANDRES, Steve Buscemi's wife, passed away at 65. "MUST... PROTECT... HOOMAN... from the bright hot light!" TUNA sells for a record 3MM in auction at Tokyo's new fish market. THE CINCINNATI ZOO named its adorable new penguin chicks Pierogi and Toast. GEOrGE THE SNAIL, Believed to Be the Last of His Species, Dies at 14 in Hawaii.